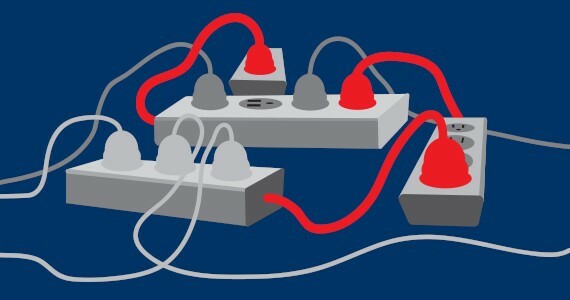 > Extension Cords, Power Strips, and Power Centers: What Are They and How Do I Use Them? Extension Cords, Power Strips, and Power Centers: What Are They and How Do I Use Them? Extension cords, power strips, and power centers have a lot in common: they help you get more use out of an outlet or receptacle. However, not everyone knows the full extent of their differences and unique applications. Whether you’re working on a construction project or looking for a place to plug in your Christmas lights, you will want the right electrical equipment to help you succeed and stay safe. An extension cord increases the range of a power cord. Extension cords typically have one outlet where you can plug in your device. When Should I Use an Extension Cord? Extension cords are great for mobile activities, such as vacuuming. The extension cord will give you extra length, so you can move with electronics to areas that you otherwise would not be able to reach. There are even heavy duty 100 ft extension cords for more rigorous projects, like cutting wood with a chainsaw. What Are the Different Types of Extension Cords? There are many extension cords that can make any home renovation or construction project easier. Below are a few examples of the extension cords on the market and their applications. Twist Lock: With this extension cord, you can twist the ends of the cords together to keep them connected in place while you are working. Light End: This type of extension cord has a light at the end of it to indicate if power is on. Push Lock: Similar to the twist lock, you can push the ends of the cords together so they lock into place and do not disconnect. When you finish using them, release the lock by simply pushing a button. Spring Rewind Power Wheel: Don’t waste your time gathering the cord after you finish using it. 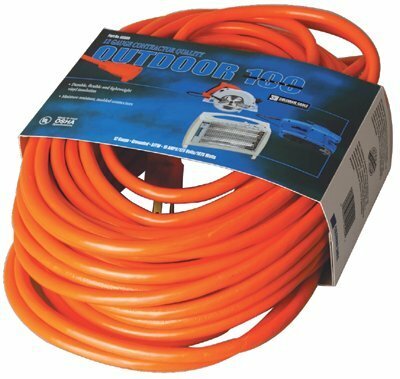 This retractable extension cord will easily roll the cord into place for easy storage. A power strip provides additional outlets. While a power strip may add extra length, the main purpose is to give you a means of plugging in more devices. When Should I Use a Power Strip? A power strip is best for plugging in multiple stationary devices at once. For example: in a college dorm room, you may only have two wall outlets, which simply wouldn’t be enough to support all of the electronics you would have (i.e. TV, microwave, minifridge, laptop, smart phone, speakers, etc.). A power strip resolves this problem by attaching to the wall outlet and providing you with multiple power sources. There are even USB power strips, which provide you with multiple USB charging ports instead of traditional outlets. This means that you can directly charge multiple smart devices, such as a smartphone, tablet, or Fitbit, without an adaptor. How Can I Save Energy with a Power Strip? Power strips can sometimes leak electricity, which is a process termed as phantom power. Even though you may not be using a device, energy can be wasted while the device sits dormant in a power strip. To prevent phantom energy, you can get a smart power strip. A smart power strip will cut off the energy flow once it detects that a device is no longer in use. You can also get a power strip with an on/off switch to manually cut off energy flow. Likewise, you can unplug the power strip or any devices that are not in use to reduce energy consumption. A power center, also known as a power distribution center, is a small to medium box that functions as a temporary power source. Like a battery, it contains energy that can be distributed to other devices. 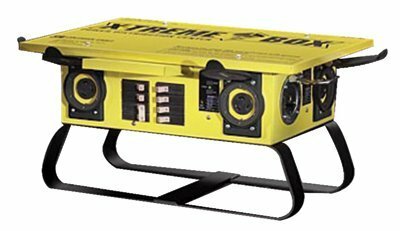 When Would I Use a Power Center? Not to be confused with a generator, a power center is best for job sites to power heavy machinery. In some cases, it can even be transported and used to power vehicles, such as RVs. This is not a power device for the average consumer and would not be used in households. How Can I Use Extension Cords, Power Strips, and Power Centers Safely? Extension cords and power strips should almost never be daisy-chained together. Plugging in too many devices at once will result in increased electrical current. 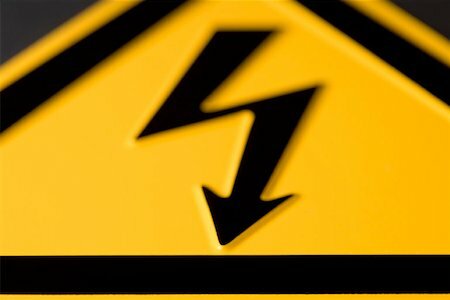 The electrical current will overpower the conductor, making it so it cannot properly disperse heat. This can put you and others in danger of an electrical fire. 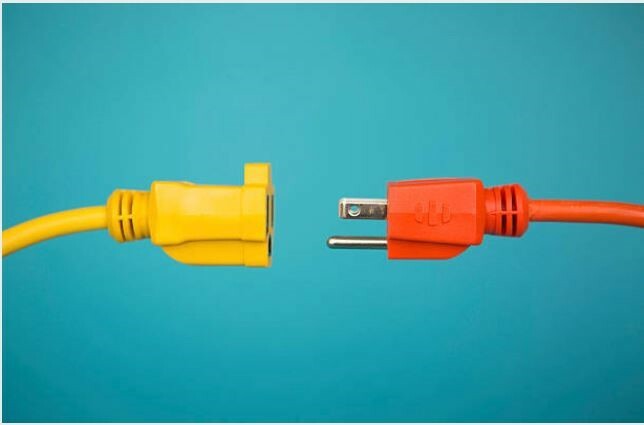 In some cases, extension cords by the same manufacturer can be connected together, but this is only under specific circumstances. 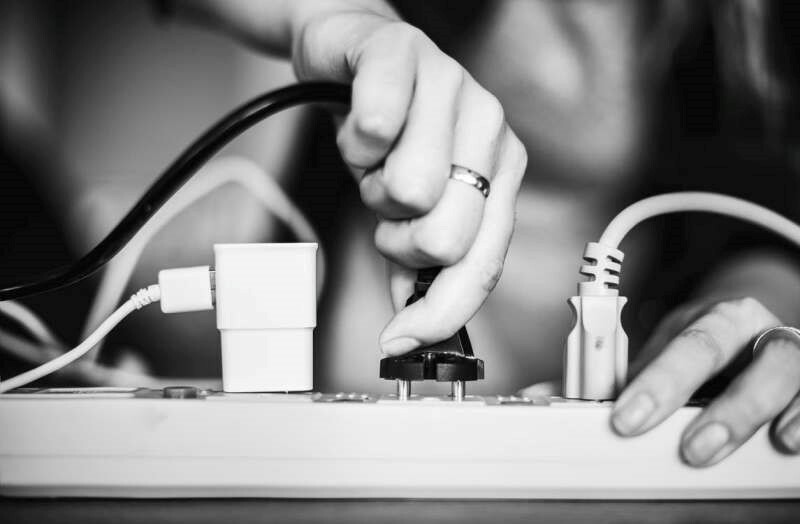 Never connect multiple extension cords or power strips unless you are absolutely certain they are compatible. Many extension cords, power strips, and power centers will have a built-in ground fault circuit interrupter (GCFI). A GCFI will cut off the power in the event of a ground fault. This is especially important if you have electronics near water, such as in a bathroom or near a pool, since water in a receptacle is one of the most common causes of ground faults. In our technological world, we must take advantage of the power sources that we have. Get the most use from your outlet and stay safe by browsing HomElectrical for all of your electrical needs! Where would you use an extension cord or power strip?